Renowned publisher Malkiat Singh is set to make close to one million dollars, following an acquisition by Longhorn publishers. Longhorn on Wednesday said that it has concluded a deal that will see Mr Singh receive Sh83 million in cash and royalties from the sale of his books—which are expected to generate about Sh200 million annually or more than 20 per cent of its year sales. The 75 year old iconic publisher will pocket Sh24 million annually, as his 43 titles change ownership. 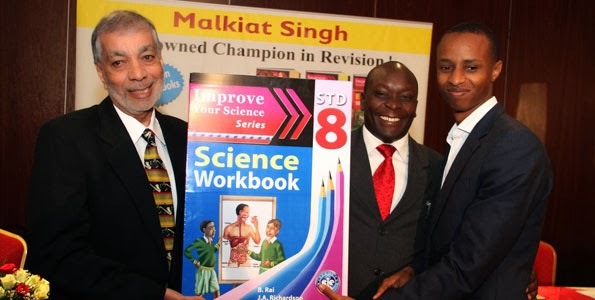 Mr Singh has been a force to reckon with in Kenya’s education sector for over 30 years. He has over 20 titles approved by the education ministry for use in schools. Longhorn hopes to revamp the Malkiat Singh series, overcoming marketing problems experienced in the past few years. The books will now be sold in regional markets of Uganda, Tanzania, Rwanda, Malawi, South Sudan, Tanzania and Ghana.